Congratulations Tanja. 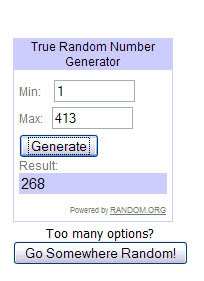 Please email me quoting the name of the stamp in the email so I can arrange to have your prize forwarded to you. I just love the new Whiff of Joy release, the images are a breeze to colour and I love that they are so different from anything else out there and perfect for the hard to please teenager lol. I dug out some tiny flat-back gems to add bling to her necklace and also to match the diamante ribbon slider from the Hobby House. Now for some Awww. Little Bonnie (from the last litter I bred) is staying with me for a while as her new mammy is very very poorly in hospital and her new daddy doesn't want to leave her alone all day whilst he is out at work. She’s loving being back “home” (let’s hope I can let her go when her mammy is out of hospital – hmmmm, I wonder!!). Now is this cute or is this CUTE!! I’m not too sure who designed the sketch on Create4Fun Challenge blog this week but it’s a nice easy one (I’m still doing simples lol). The prize is a set of Penny Black clear stamps called Garden Friends – too cute. I just had to use this sweet little bear from Crafty Sentiments as soon as I got it this week, and even had a go at colouring him with Copics. I’m getting there ……. slowly. He’s from the new release by Kathy Hare due out on the 1st February. I got this paper last summer and I think it may be Doodlebug but not sure. I did a bit of stitching around the squares and tweaked (again) and added the ribbon across the centre. The sentiment is one of Crafty Sentiments new Valentines sets here. I added some Stickles to the roses for a little bit of bling. The flowers are from Wild Orchid Crafts and have been spritzed with Snow Angel Glimmer Mist. The pearls and heart pin are from The Hobby House. Today I have posted a little tutorial on the Whiff of Joy Tutorials and Inspiration blog for the flower that was on my Whiff of Joy card yesterday, so I hope you will pop across and take a peek and that it will inspire you to have a go. It’s Saturday Surprise time again. This week Simon Says Stamp is going to supply a Magnolia Christmas Eve Tilda which I think is perfect for all year round stamping and not just for Christmas. If Mr Linky is not showing he's probably playing up .. AGAIN!! Please pop back later to enter. 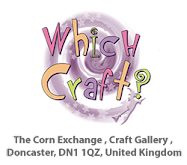 This week we are being sponsored by Wild Orchid Crafts so naturally the challenge had to incorporate flowers. As it's so close to Valentines Day we went for hearts and flowers . I did another easel card and went with the flower overload - flower papers, flower embellies and even flowers in the image lol. The sweet sentiment is from Elzybells – so perfect for the intended recipient of this card, she’s an angel indeed. The flowers are all from Wild Orchid Crafts and have been spritzed with the usual Glimmer Mist (can’t do without the stuff). The little hearts are from Wild Orchid Crafts as well. The ribbon is from The Craft Fairy and the paper is Blueberry Hill by Papermania. The image has been coloured with Copics. I have at last found a cardstock that I love and works for me – Stampin Up Whisper White. I have tried every kind recommended and tried this last week after a tip off from Jacqui – LOVE IT!! I can blend so much better on this card and the colours seem so much softer and not as garish as with other cardstock I have tried. Wait till you see these babies - absolutely gorgeous and so different from all the other Elisabeth Bell images. The only difficult thing is deciding which cutie to ink up first lol. Whiff of Joy is releasing the new City Girls images on the 4th February and the DT have started posting sneak peeks on their blogs and also on the Whiff of Joy Gallery so make sure you stop by to see all the fab creations made with these new stamps. Now is this little lady gorgeous or what!! As soon as I saw this paper in the Basic Grey Origins pad I knew it would be perfect for these stamps (only bummer is there is only 2 sheets in the pad - never satisfied am I lol). All I did was cut around the shaped border and adhered it straight on to the black base card – no matting at all – now that makes a change! The flower is one I made, I have done a little tutorial and it will be on the Whiff of Joy Inspirations blog on Saturday. I love love love these new images – I used distress inks to colour this one (and even gave her some eye shadow lol). Only 3 colours used – Black Soot, Antique Linen and Scattered Straw. Quick and easy to colour too. You can just see the inside of the card, all I did was trace around the patterned paper after I had cut it out to follow through the shape to the inside of the card. Today it's my turn to showcase the Sarah Kay sample cards I made for Heidi and Stuart (Stampavie) to take with to the CHA. I am so in my comfort zone when working with Sarah Kay images, love love love them. First up I have used Melissa Frances papers – sooo pretty (and I hope Jill can get more of these hint hint). The image is called Bernadette admiring the spring flowers. I’ve coloured the image with Copics. My next card I used the last of these papers and for the life of me I can’t remember who they are by. This image is called Zoe gazing at the butterfly and I’ve used Distress Inks and Twinkling H2O’s on this one. I had been making another card and couldn’t bear to bin the last of the paper so put them to good use on this card. Once again the flowers are Wild Orchid Crafts and the punch is that EK Success one again. It’s sketch time this week on Whiff of Joy Challenge – and this week Gio has designed a sketch for us to work to. The ribbon is velvet (Dovecraft 99p a reel!) and I’ve made a little faux bow and glued it on top of the ribbon strip. Although I missed the Whimsy Snowball Fight Blog Hop this week (it’s still going on so you have time to enter and win the prize) I did manage at last to get a card made. And the prize is a whopper!! $50 to spend in the Whimsy Stamps store so get hopping girls lol. I have used My Minds Eye papers that I have had for a couple of years (still using up the old papers – dream on Bev, you have more papers than you could use in 100 years!!). I’ve had the Liquid Applique out again for the fur trims and dotted on the snow. Also applied Stickles to the snow and on the embossed dots on the blue scalloped card. The ribbon – I love it! It was reduced to 10p a pack at Tesco’s after Christmas. The rhinestone gems are from The Hobby House. I'm a bit late with this, but for those who have forgotten - today's the day that you can go and buy the new Lili of the Valley stamps, and at £3.75 each you can fill ya boots and not feel guitly. Those little bunnies are just the sweetest little things ever. I had these gorgeous papers out on my desk with plans to use them for another image but changed my mind and used this Looking Chick by Penny Johnson from Stampavie. She should be in stock at The Hobby House soon. I have coloured the image with Inkadinks - boy do I love them!! A close up of the flower, cut with the Blossom Nesitibilities then distressed a bit by scrunching and sanding. Before I forget, Whimsy Stamps is having a Snowball Fight Blog Hop for the new Crissy Armstrong Snickerdoodle Kids release. I didn't manage to get a card done for the hop (too much to do and so little time to do it) but you can find out all the details here to join in. I should have a card using one of these images on my blog one day this week. This week we have a fab sketch done by Domi for Create4Fun challenge - it was perfect for me to get one of my MS border punches out. I'm in my "wings" phase right now lol - so I used one of the sweet Paper Makeup stamps from Quixotic Paperie - this one is called Madelyn. I have teamed her with one of Paper Makeup's amazing sentiment stamps (I'm such a sentiment stamp junkie lol). This one is called Friends are Angels. I have used Inkakinks and Twinkling H2O's to colour the image - I absolutely love the Inkadinks, they are a dream to colour with and I spent ages last night (playing) blending the colours to make so many different colours, very impressive! How beautiful is this image - I cried when I saw it, not only as it is so beautiful but also the meaning behind it and how it all came about. Denise (from Whimsy Stamps) got together with Crissy Armstrong to put this together. Crissy Armstrong has created a beautiful limited edition digital stamp carousel horse called "Wings of Hope" which is currently available exclusively in the Whimsy Stamps online shop. This digital stamp will be available to purchase from now until February 28th, 2010. All proceeds from the sale of this image, minus any PayPal fees, will be sent to the American Red Cross disaster relief for Haiti. I'm entering this card in this weeks Crazy 4 Challenges challenge which is Pretty in Pink. They will be keeping a weekly tally on the Whimsy site for readers to see just how much money has been raised and at the end of February, all monies collected will be sent to the American Red Cross fund. 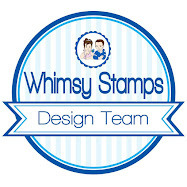 If you would like to help out, please visit the Whimsy Stamps shop and purchase this digital stamp. It's another easel card - I really love these. Please please pop across to Whimsy Stamps and buy "Wings of Hope" - I am sure those poor people in Haiti can do with every little bit that we can do to help them. Post updated: Here's a list to the Wings of Hope cards made by the Whimsy DT.